Last view: 1084 days I have a few things to show, but first, I'll say that what I could play of your SMB hack was a blast, remzlab! EDIT: Didn't work in the preview, that's all. 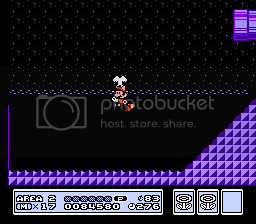 I did a short and stupid SMB3 ASM hack. 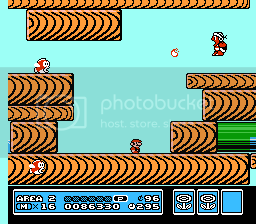 You stop on the Goombas consecutively until you get "double-ups". 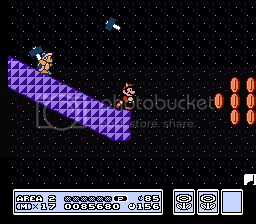 When you've collected enough extra lives, Mario ends up in World 5. 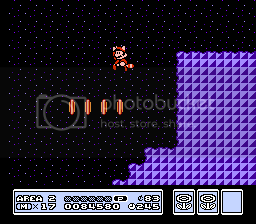 From then on, it's 1-ups only. 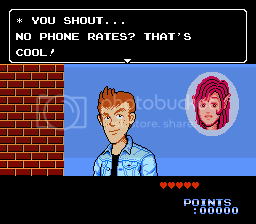 It's on record for the worst ROM hacks of all time; I know. The following screenshots are even worse. Just some minor edits as well as some other things. Nothing, really. Last view: 854 days I got a good chuckle out of "No phone rates?" Well, I'm working on something more fresh than my old hack. It's "Mostly Vanilla", meaning there's some modifications in graphics here and there. Lots of graphics changes are to help take advantage of Reuben's new level format. Here's a peek at what I have so far. 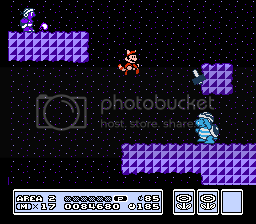 Most of World 1 is done, I just need to manually hack the Locks in hex and figure out how to correctly implement Mushroom Houses (which will change in style) and Hammer Bros. sprites. Also, in Reuben, the N-card game points to the pointer it is directly sitting on in the map screen, making you replay whatever it was again. >here. Objects and Enemies pasted in levels is coming soon. 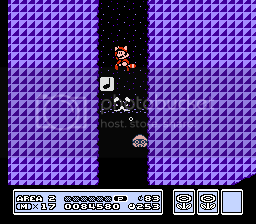 And added an ASM code where you init the sound when toad speaks like in Super Mario Advance 4. N-Spades Remodeled. And heart panels becomes animated replacing spade panels and quicksand panels are replaced with spade panels. I still have not found the palette sets for world maps and I'm still trying. 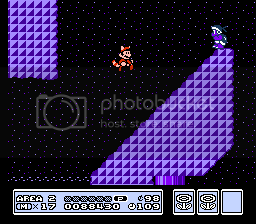 But I will try K9000's world order code if I'm able to for Super Mario All-Stars depends how the RAM goes. 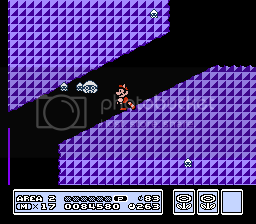 Last view: 1084 days I've been working on some levels for Mario's Trials. 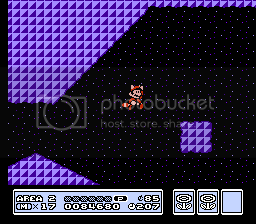 The first two screenshots you see show you an entrance in Area 2, and the following are screenshots of an underground area that the entrance leads into. As for the Toad House levels, take a quick peek at this tad of information if you don't mind Toad missing, maybe. You're probably going to need to set the sprites in there the same way you set the sprites for the Hammer Brother battles. 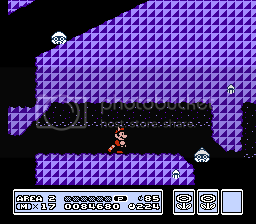 Last view: 74 days I really like how this ongoing SMB3 projects in progress. 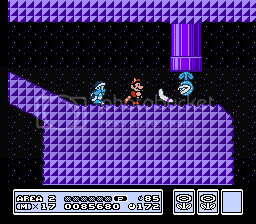 Mine will be finished about October after copy/paste levels from Frank's 2nd SMB3 hack and a few 13-Byte header changes. GFX may be hard to set up for some levels but ExGFX will be needed after the release. 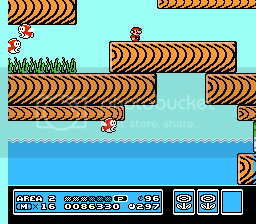 Graphic changes in this ongoing SNES-SMB3 hack is from Super Mario Adanvce 4 to Super Mario All-Stars. 1] Top Left - White Gloves with a few new sprite models. 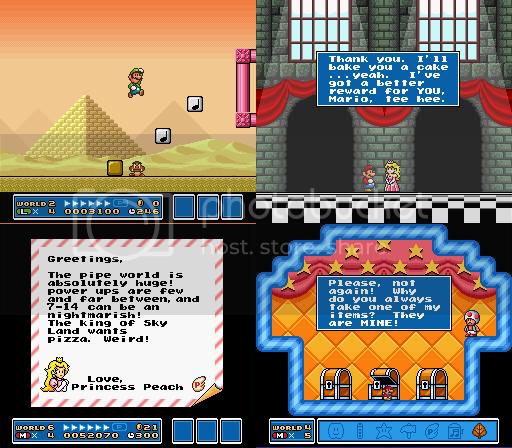 2] Top Right - Princess Toadstool becomes Princess Peach and is remodeled. Original is pixel 4x3 but it is cut to pixel 4x2 instead. 3] Bottom Left - Peach has blue earrings in the letter. 4] Bottom Right - SMA4 Toad, but I made him the angry type. It cut near the end due to the fact I went over the 1gb limit, but no matter. The Fortress is complete and I beat Boom Boom; it leaves something to the imagination. I have three more areas to complete and world 1 will be done. Also the Map is not finalized....just using it to get around to the different areas. Last view: 74 days The shrooms in that screenshot in the desert world map, does it animate when you place it or you use the code to stop animation? I really need to learn these. Last view: 219 days Progress..
You can resize the room's width and height. The editor automatically takes care of moving data and fixing pointers. If the game isn't recognized it is Bionic Commando. Last view: 5 days That looks quite neat, but I think the editor's UI would look a lot more polished if you just got rid of all the unused grey areas on the right. Pokemon Black FC: 4556 1956 2487. PM me if you want to battle or trade. 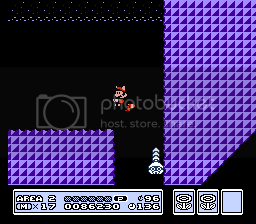 Current SMB1 hack progress: 4/32 levels done. I do LPs, and I currently take requests. If you would like to make a request, send me a PM. Last view: 99 days Much better, good luck with your project DB I like what I see. 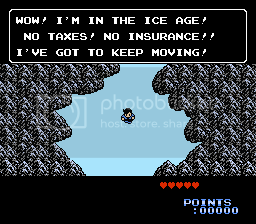 Last view: 92 days I don't ROM hack anymore, but I am working on a Zelda game in Game Maker. It is a Zelda game that is supposed to be more like Resident Evil 1.5, the original Resident Evil 2 that was cancelled at 80% before they started over. 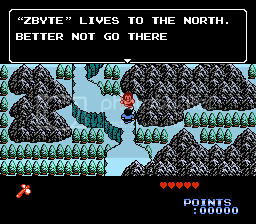 Resident Evil is known as Biohazard in Japan, so the title for my game is Zelda Hazard. Incase you like Resident Evil and/or Resident Evil 1.5, here is a 3 minute video of Zelda Hazard. The acual music and sound effects are in the game, but the video recorder wouldn't record the sound, so I just put the actual music in the video. Last view: 99 days That's pretty cool what you did in Game Maker, how long did it take? I like how the Stafols crawl outta the hole on the wall, I wanted to make my own game at one time using Game Maker to add my cartoons but it was really hard for me. Is that Broken glass in the first room on the floor? MySQL - queries: 128, rows: 168/0, time: 0.135 seconds.